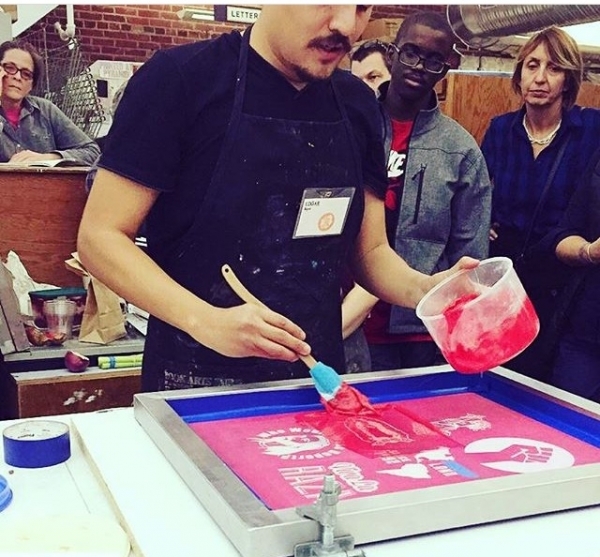 Using two screens created for CPR Edgar Reyes will walk through step by step instructions on how to screen print while teaching Teens for Teens how to facilitate like minded workshops as a way of using art and design to promote social change. Edgar Reyes is a multimedia artist based in the Baltimore and Washington D.C. area. His work is a reflection of his personal experience as an undocumented youth in the United States. Reyes earned his MFA from Maryland Institute College of Art and has taught at non-profits and private institutions. His art practice highlights the beauty of being Mexican-American, yet questions his national and cultural traditions. Like many other Chicano Artist, he challenges social norms to bring forth awareness of what it means to be Latino.